Despite his old age former President and current WSP Leader Józef Czerwiński was put forward as the PM candidate. NOWOGARD - The Valruzian Progressive Party announced that their current leader, the 88 year old Minister of the Interial Affair and former President of Valruzia Józef Czerwiński will be their Prime Ministerial candidate. The decision comes to many as a surprise. Having the candidate's age in mind many experts said that Czerwiński will not be his party's candidate and leave the seat for a younger successor. This speculation is further backed by information from anonimous sources claiming that Czerwiński's health has declined in recent years. When asked about his decision to stay in politics and fight for the Prime Ministership Czerwiński said that one of the factors prompting him to stay was country's uncertain political future. "I believe that we need someone with experience. It's not the time for experiments or transitons." said Czerwiński in a short comment to the press. Area of the future Olimpic Part marked with the red line, the Olympic Village will be built on the east bank of the river Libard. The yellow line indicated the area on which new Nowogard City Airport will be built. NOWOGARD - President of Nowogard during an official ceremony inaugurated works on the Olympic Village - a grand complex with which Valruzia wants to make Nowogard's bid for Olympics in 4380 successful. House of Peace (valruzian: Dom Pokoju) was chosen as the name for the whole complex which will cover the area of 4.6 square kilometers and when finished will be one of the largest facilities of this type. After a long debate city's legislators come to a consensus and chose an area for the House of Peace in the southeast part of the city in the Nowogard's Bielany borough. 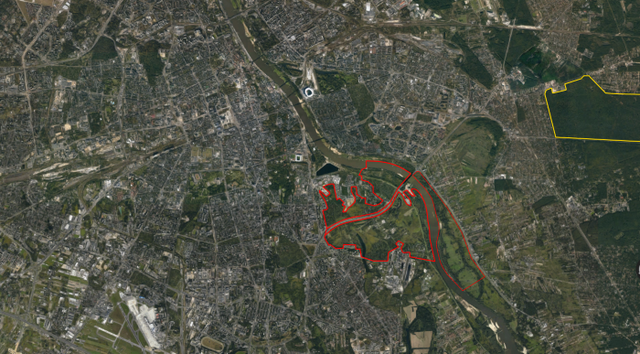 The area chosen in fact includes three different areas separated by Nowogar's inner ring-road DW 9 and the Libard River. According to the area development plan of the new complex, area on the east bank of the Libard river is the place where the Olympic Village will be erected. The Valruzian Construction Enterprise (WPB) announced that it will feature a modern and state-of-the-art 3 to 5 story condominiums with facilities to meet the demands and need of athletes and their trainers. In accordance to this, the WPB announced that the village will feature increased security measures and will be patrolled by security at all times to ensure the highest possible level of safety. The capacity of the Olympic Village will reach at least 23.000 thousand and is expected to serve as residential buildings after the possible Olympics. President of Valruzian National Olympic Committee said that with the works on the Olympic Park due to finish in 4377 will give Nowogard a technological and image advantage over its only rival city Fort William, the capital city of Luthori. BRZANSK - New President of the Bonning Group Jerzy Kurtyka presented the new strategy of the company for the upcoming years in spite of increased competition from brands like Xiandai and Explorator. Bonning intends to reinforce its position as Terra's largest auto-manufacturer by expanding its production base within the Seleyan Union. Bonning wants to use the extensive system of economic interdependence between the Member States of the Seleyan Union and the North Seleyan Economic Community and expand production to Lodamun, Kanjor, and Baltusia. Currently, the company has factories in Valruzia, Alduria, Baltusia, Malivia, and Klavia Okeano. In recent years the annual output of Bonning rose from 15 to nearly 18 million vehicles. With this figure, Bonning remains Terra's largest premium class vehicles manufacturer. Jerzy Kurtyka commented on the recently released article in the Indralan daily newspaper Market. Kurtyka denounced the statements of Hiromi Kurosawa in which he claimed that Bonning is a state-funded company. Kurtyka pointed out that the Government of Valruzia is the owner of only 3.5% of the brand (not the group), and that the company has not received any form of subsidy since 4331 (Bonning received a subsidy of 100 million VPO from the State Treasury - repaid in 4339). Kurtyka also argues that Bonning has no reasoning to be concerned about competition from Explorator because the character of the two companies is diametrically different. Kurtyka said: "understanding the basic difference between Bonning and Explorator is the key. We have two totally different target groups. Our products are different mainly because of the premium character of our vehicles. I do not see a level of cooperation as our companies do not offer a single pair of vehicles which can be treated as rivals, and would share the same target group of customers..
Kurtyka continued with explaining that Bonning will continue to expand and offer it vehicles on new markets. President of Bonning said that despite the Kerisian production market was "taken over" by Xiandai, Bonning still manages to secure at least five-digits sales records which for a premium brand combined with a relatively small market is still a good result, but here he once again pointed out that despite the fact that Xiandai is a more significant competitor for Valruzian giant, the two companies still offer two different types of products, as from the two it is the Bonning which offers all-premium models. Kurtyka replied that while Bonning lacks factories in Keris, it constantly expands its production base in Malivia. The factory in Hitam, Malivia now produces all models of Bonning and those vehicles are sold in Artania which is an uncomparably bigger market than Kerisian automotive market. Bonning intends to focus on those two markets (Seleya/Seleyan Union & Artania) as those are the markets the company has been the most successful on. 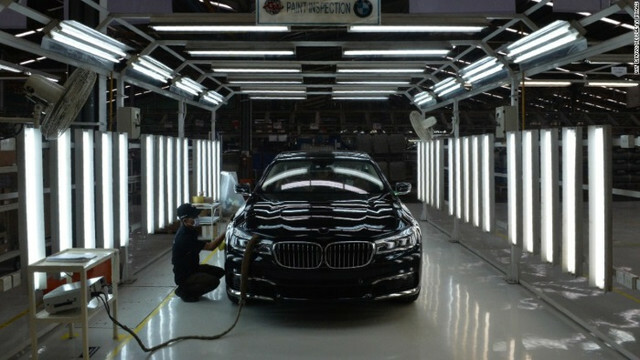 Bonning's flagship model B7 production line in Hel. HEL - Bonning Group is hedging its bets on the future by announcing combustion, hybrid and electric versions of nearly all its nameplates - with all three varieties capable of coming from the same assembly line. According to Bonning, this would allow to significantly increase the production capacity in company's factories and broaden the target base for Bonning Group's vehicles. The idea, Bonning Group's President Jarosław Kurtyka says, is to flex the production among powertrain types according to the trends of the current, dynamically changing market. Today's uncertain forecasts for electric vehicles are the main motivator behind the company's idea. In recent decades Bonning relied on combustion engine-powered cars, which in 4366 made 75% of all Bonning Group's sold vehicles. The company wants to increase the rate of hybrid and all-electric vehicles sold to 50% by 4390. Kurtyka said "Nodoby knows what will happen to the electric-car market in 20 years. Now it is too bald that it will wipe out combustion engine-powered vehicles as there are no signs for that and diesel and petrol-powered cars market is fine. With this strategy we want to be prepared for the future and the possible change in the demand on the market. We intend to make four versions of all our vehicles to suit the demand of our customers. Customers who will want to buy petrol or diesel cars won't have a problem with that, those who will want to buy a plug-in hybrid or simple hybrids won't have a problem with that, and those who will want to buy all-electric vehicles won't have a problem with doing so." Bonning Phantom based on the new BMP-01 platform. Tha approach can help the automaker avoid having to idle some factories while other plants can't keep up when demand diverges from forecasts. 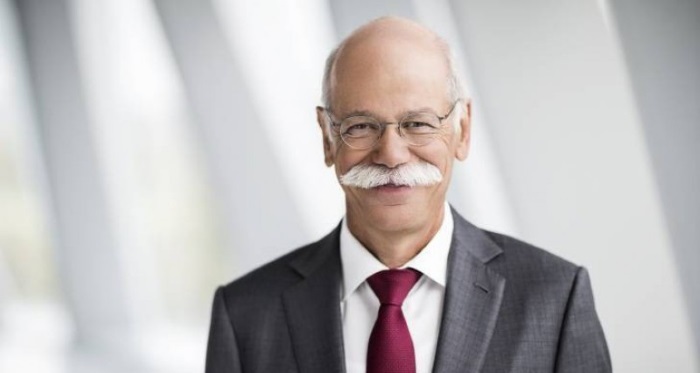 To better implement the strategy, Bonning also decided to create a new, and adjust existing platforms so that they can handle electric powertrains as well as combustion engines. The new platform of the company which will be used in the future for at least several models was unveiled together with the first model which will be based on the new platform called BMP-01. The new model called Phantom is the first to feature a new design of the company which is more aggressive than the design of the current range. Phantom will be offered in all four powertrains: combustion, hybrid, plug-in hybrid, and all-electric. 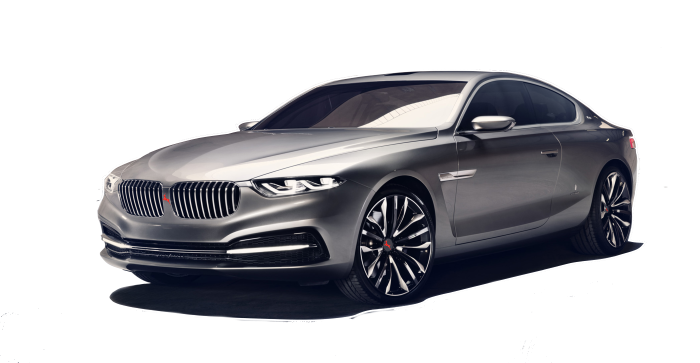 The base price for the combustion engine-powered version is 256 thousand pesos, 295 and 299 for hybrid and plug-in hybrid respectively, and 370 thousand for all-electric version. BRZANSK - Brzansk Automotive Factory has just announced that for 8.1 billion pesos it purchased 61.9% of shares of the Deltarian Taran, a company established almost 190 years ago in Tepesovo, Darali province in Deltaria. BFS announced the news about the deal earlier today during a press conference held with the current owner of the company, a descendant of the company's founder Milosz Sobotka - Bohuslav Vertelnyk. BFS announced that it will expand the current range of Taran with specialized trucks which will be the perfect alternative to those manufactured by defense industries. It is evident that with this move BFS intends to make its move onto the defense market. BFS announced that additional 5-10 billion Pesos worth of investments will be made in order to revitalize and reorganize the current structure of the company which according to the Hel-based giant is archaic (resulting from continuous unrest within the Deltartian state) and cannot effectively compete with other companies. Taran Heavy Trucks for over last 20 years saw a minor, near stagnancy, growth which allowed the company leadership to stay afloat on the market. In recent years the BFS management spoke numerous times about expanding the company in order to more effectively compete with Bonning. Nobody then probably expected that the company would enter the market of heavy trucks. According to calculations of the Valruzian Economist, heavy-duty trucks market, in Valruzia itself, is worth 120 billion and reveals growing trends. That might have been the perfect time for BFS to enter the market of heavy-duty trucks and lorries market as most of the cargo transport is still made by roads and nothing seems to change that in the upcoming year. 41% of all cargo transported in Valruzia is being transported by lorries, 19% by trains, 18% by inland and maritime waterways, and 22% is transported by cargo planes. 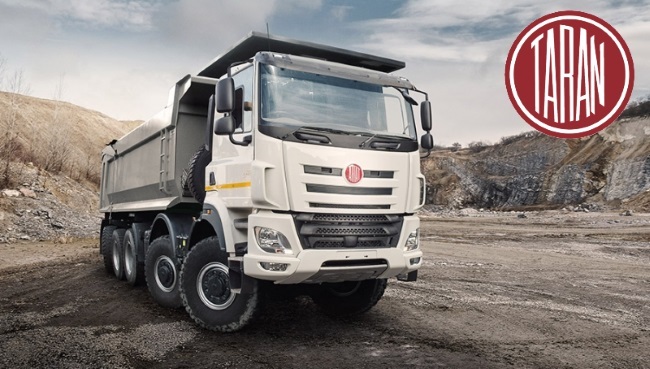 With a major investment in such market, played well, BFS (Taran) might become one of the major heavy-duty trucks and lorries manufacturers in Valruzia. BFS announced that it will seek other investors to support its plans to establish Taran production facility in Valruzia and distribute the vehicles all across the Seleyan Union. Taran Heavy Trucks is a company established and headquartered in the city of Tepesovo in central Deltaria. 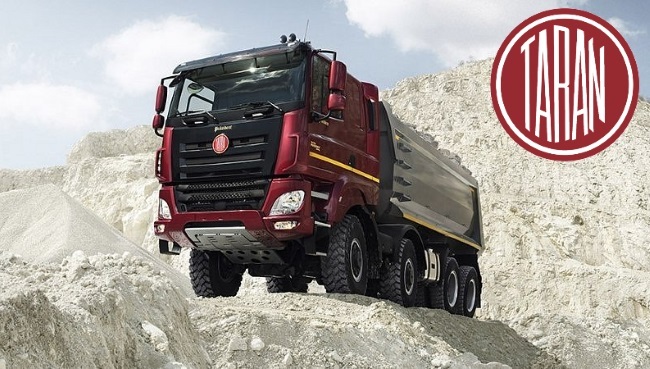 For years the company focused on the production of heavy-duty trucks and utility vehicles. One of the most renowned products of the company is the Taran Proxy, which with its seventh generation, is in production for over 85 years. In recent years the company recorded none, or close to minimum profit mainly resulting from domestic sales. Foreign sales of Taran trucks was almost non-existent. BFS announced that Taran trucks will get to the Valruzian market as soon as possible and with relatively high quality and combined with average price Taran trucks have a high chance of taking over a quite significant share of the market, which as said above is valued at over 120 billion pesos. If the holding will decide to expand the production base of its newest subsidiary (and put semi-trailer trucks into production), the trucks might even have a chance at the greater market - the Seleyan Union which is Terra's leader in volume of cargo carried by roads. Holding's president Rafał Lisnert expressed his excitement over the newest undertaking of the BFS and hopes for a productive and efficient cooperation with the Deltarian company. Lisnert said that it is not his company intends to engage in an open conflict with any other company on the market, just to continue the great legacy of the Taran company, in which BFS sees a great potential for growth. Bergamo-class SIGINT vessel during tests carried out by MOND and Eckner-Abert. Ministry of National Defense of Valruzia has informed the Valruzian Insider that together with the Valruzian Armaments Group and the Ecker-Abert shipbuilding company it signed a final version of the deal for new types of vessels for the Defense Nacy of Valruzia. Ministry happy with the operational results of the Valparaiso-class corvettes and Mar-a-Lago-class destroyers decided to entirely bypass the public procurement process which usually is required in public orders above 100 million pesos. According to the justification for the bypassing the procurement process the Supreme Control Authority (val. Najwyższa Izba Kontroli) Ministry was allowed to direclty sign a deal with Ecker-Abert after it presented valid evidence for the significant relevance of the deal to the State's interest and the issue of national security, as according to MOND, the new vessels are one of the vital points of increasing the potential of Valruzia to defend itself and its allies, and serves as an important step in the process of increasing the security of the Seleyan Union as a whole. The Supreme Control AUthority dismissed and excluded only one of the causes presented by MOND. Namely, Ministry of National Defense justified that the new vessels will increase Valruzia's capability to patrol and defend commercial vessels passing through the international waters in the proximity of the Valruzian Exclusive Economic Zone (Valruzia claims that its EEZ reaches as far as 345 nautical miles into the open sea; according to the international law the EEZ cannot extend more than 100 kilometers into the open sea) and combat incidents of piracy, increasing the profit made by commercial cargo merchants. According to the Supreme Control Authority it is not in Valruzia's widely understood interest to engage in any form of conflicts on the disputed area, due to the fact that as for now Valruzia's claim of extended EEZ did not gain international support, and it would be both economically and politically unwise to engage in any such conflictual engagements. Gryfitów-class corvette during tests carried out by MOND and Eckner-Abert. Nonetheless, the Defense Navy of Valruzia is believed to become the best equipped and professional navies in the Seleyan Union. With its two aircraft carriers, a fleet of submarines, corvettes, destroyers and SIGINT vessels will surely increase the capability of the Valruzian National Forces of Defense and the political capital of Nowogard which will be able to more effectively achieve its goals and aims. Exckner-Abert has announced that it will build 32 new vessels for the Defense Navy (the initial preliminary agreement foresaw the construction of 25 vessels). Four new types of vessels will be incorporated into the Valruzian Navy. For 37.2 billion VPO the Navy will get two new types of corvettes (Grytifów and Kampania-class corvettes) which are the modernized and developed version of Valparaiso-class corvette which, according to MOND will remain the basic Corvette of the Defense Navy for at least 25-35 years. The new type of patrol vessel (601[i]-class), and something which the MOND is betting all its money on, the [i]Bergamo-class SIGINT vessel. This is the project the ministry invested the most during the whole process of development. 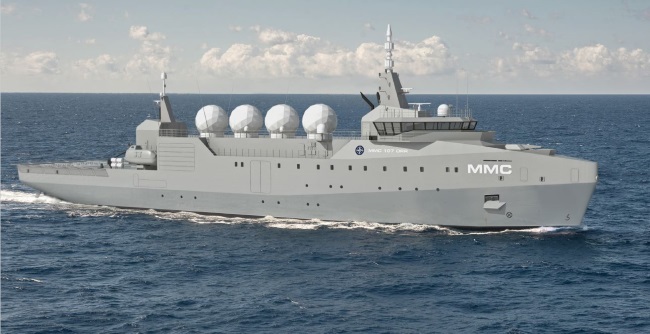 In 4365, Ecker-Abert recorded 198 million VPO worth of subsidy which apparently was used to accommodate the unit to the exact requirements of the ministry and additionally a group of MOND's experts in SIGINT processing was delegated to work on the vessel with the Eckner-Abert. It is expected that the first new vessels will be incorporated to the Defense Navy no sooner than in 4373. 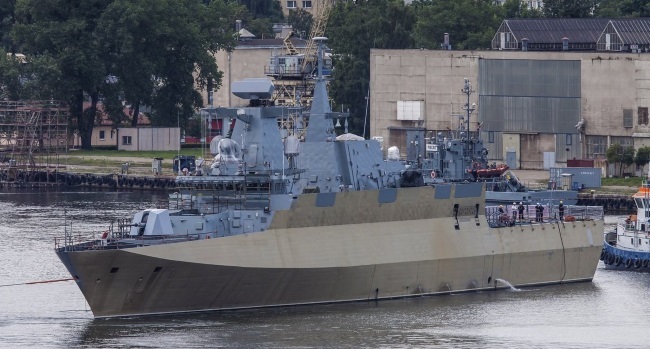 MOND has revealed that it ordered 12 Gryfitów-class corvettes, 7 Kampania-class corvettes, 11 601-class patrol vessels, and 2 Bergamo-class SIGINT vessels. New vessels of the Defense Navy will be tasked with patrolling the territorial waters, exclusive economic zone of the Republic of Valruzia as well as taking part in international operations aimed at securing the international waters and reacting to incidents of piracy, but only against the ships belonging to Valruzian merchants, and any case of intervention to protect foreign merchants will have to be approved by the Ministry of National Defense. The whole process of vessels construction is supposed to take 154 months, with the ORW Bergamo (SIGINT) as the first to be incorporated in 4373. NOWOGARD - LOT Valruzian Airlines announced that it will join the Kazulian Northern Airline Systems in order to evacuate all Valruzian citizens from Kazulia within the next four weeks. In that period LOT Valruzian Airlines will provide flights for Valruzian citizens in order to evacuate them from the region in spite of the possible conflict. 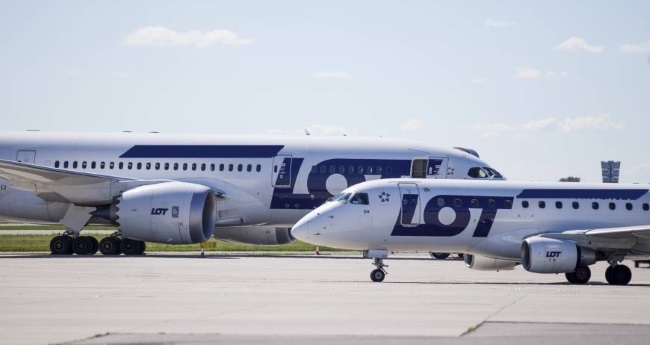 Valruzia's largest airline LOT announced its decision to provide free of charge flights for individuals with Valruzian citizenship after the Ministry for Foreign Affairs headed by Izabela Vinciguerra contacted the airline and proposed such solution in order to keep Valruzians residing in Kazulia safe. Ministry for International Affairs will pay LOT Valruzian Airlines 92 million pesos for maintaining two daily connections between Nowogard and Skalm for the upcoming four weeks. According to Ministry for International Affairs with this move, Nowogard wants to help the Government in Sklam in preparation for the possible conflict with Dankuk. Embassy in Sklam and consulates (official and honorary) were tasked with providing help for all Valruzians in getting outside Kazulia. MFA issued official messages to all recorded citizens of Valrzia remaining in Kazulia in which it asked for an immediate cessation of all activities and directing to the nearest diplomatic facility of Valruzia in order to get information about the closest possible chance of getting outside Kazula. This is also the first time the Valruzian Government commented on the diplomatic tension between Kazulia and Dankuk. Nowogard heavily criticized Dankuk and Vanuku for the unnecessary incitement of the tensions and declared the readiness of Nowogard for providing diplomatic support for Sklam. This was an evident surprise for the international observers as bilateral relations between Kazulia and Valruzia were rather cold for the last couple of decades. The government of Valruzia declared that despite many differences, Nowogard will never agree for measures taken by Dankuk and will stand by those countries which respect the international law. MFA said that it is clear and evident that in the crisis between Kazulia and Dankuk, Kazulia is the country with the international law behind it. NOWOGARD - BREAKING: The Chancellery of the President of the Council of Ministers released a statement in which they confirmed PM death. The 92 year old politician died of natural causes. He was rumoured to have been battling numerous health problems for the past few years. His death comes shortly afterwards a major electoral loss where his party saw a 22 seat decrease. This combined with the looming Prime Ministership loss might've been the last straw. The Valruzia Daily staff send their heartfelt condolences to Mr. Czerwiński's wife, 3 children, 5 grand children and one great-grand child. Mr. Józef Ignacy Czerwiński was born on 16 February 4278 in Brzańsk to a middle class family. He got involved in politics in 4301 at the age of 23 taking part in pro-labour protests. First elected to an office in 4312 he became one of the youngest and most progressive mayors in Valruzia. A fairly unkown figure on the national stage Czerwiński joined the Valruzian Labour Party in 4327. He was elected to the Sejm in 4328. Having closely co-operated with President Biernacka he was selected to be her successor. He was elected to the Presidency in 4340. For eight years he proudly represented Valruzia on the international stage. He retired from politics in 4348. Seeing the growing divisivness in Valruzian politics he decided to return to politics in 4357. In 4666 despite his poor health he decided to fight for the Prime Ministership for the good of his beloved country. Sadly, he passed away on 9:37 p.m. surrounded by his loving family and friends. Always described as a humble man Mr. Czerwiński's passing is a great tragedy for the Valruzian nation and it's people. ORW Valparaiso will be one of four vessels taking part in the "Atalanta" Operation. NOWOGARD - Valruzian Ministry of National Defense has just announced that the Defense Navy of the Republic of Valruzia launches a search and rescue operation tasked with localization of the lost Aldegarian vessel MS Little Shahbanu which has been missing for 42 hours. Operation called "Atalanta" will involve four Defense Navy's vessels (ORW Valparaiso, ORW Nowogard, ORW Oriana and ORW Mar-a-Lago) and will cover an area of 1.4 million square kilometers of the Odufart Sea, the southernmost sea of the whole Anantonese Ocean. Commander of the Defense Navy Katarzyna Obremska announced that the vessels in the "Atalanta" Operation will patrol the international waters and try to initiate radio contact with the lost vessel. According to a political analyst Jarzy Krasnodębski, Valruzian Defense Navy wants to justify the presence of the Valruzian vessels on the Anantonese Ocean which will be ready to back Kazulia in its conflict with Dankuk, as Nowogard has recently backed the Government in Sklam. Link to the high resolution map here. NOWOGARD/VICTORIA- The Seleyan Union's Union Assembly President Tobby Espero announced that the Seleyan Union will look into the proposal of the Valruzian Council of Ministers regarding the "Via Seleya", a multi-billion dollars project of trans-Seleyan highway connecting the north and south of the Seleyan Union and serve as an important part of the planned pan-Seleyan transportation network. Drafted by the Valruzian Ministry of Trade and Industry in cooperation with the Ministry of Transport and Infrastructure Via Seleya is a planned 24.500 kilometers long high multilane highway running through seven countries (Lodamun, Valruzia, Tukarali, Aldegar, Mordusia, Alduria, and Kanjor). Valruzian Council of Ministers at its meeting on 20 May this year decided to raise by VPO 7 billion the financial limit for the Valruzian part of Via Seleya. Out of this amount, VPO 6,2 billion will be spent on the construction of new roads, while the remaining 800 million for modernization of the existing network in order to meet the standard set by the Seleyan Union (regulated signs marking the road, information points, standardized entry-exit systems etc.). The Council of Ministers informed that allocating extra resources was necessary due to the need for increased investment activity in eastern Valruzia connected with building the missing sections of Via Seleya between Jeziorne Sady and Trebegowice, and Nowogard and Hel. The expressway S9 between Hel and Brzansk will be upgraded to a highway standard. A statement released by the Council of Ministers after the meeting of the government. The additional funds will enable the contractors to build all the missing sections of the road between Jeziorne Sady and Trebegowice, and Nowogard and Hel on time. In the Chynberg Voivodeship, the road is ready between the border and Jeziorne Sady, the opening of next section (Jeziorne Sady-Trebegowice) is scheduled in the summer of 4375. The second planned section connects Nowogard with Hel, Chynberg Voivodeship. The third one connects Hel with Brzansk (here works will only be limited to upgraiding the existing infrastructure). The works are less advanced on the period from Brzansk to the southern border where the road is technically ready, and the only necessary work is to adjust the signs to fit the regulations of the SU. At the end of last year, VPO 95 million was allocated for hydrological and geological works to prepare the ground for building the entire road between the capital city and Hel. Technicians are analyzing the possibilities of using parts of the existing road like the existing A31 and A32 running from Nowogard, as this according to the Minister of Trade and Industry would generate at least VPO 500 million of savings. 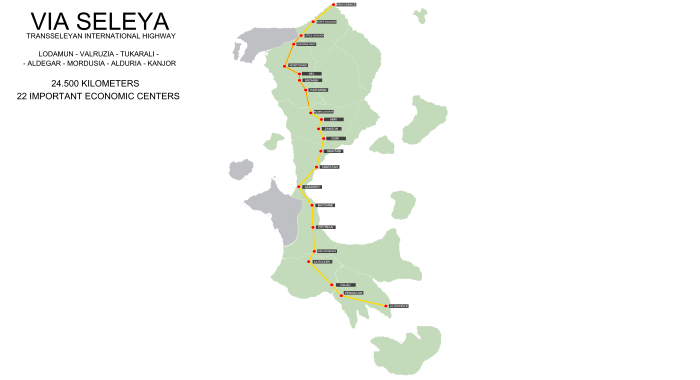 Via Seleya is a conventional name of a planned transport corridor connecting - according to the initial concept - the NSEC states with southern Seleya. It runs through Lodamun, Valruzia, Tukarali, Aldegar, Mordusia, Alduria and Kanjor. The potential of Via Seleya may benefit many transport routes, both within and outside the SU. The road is designed to branch out to Likatonia and Saridan, if such interest will be expressed by the government of those only two non-SU countries on the Continent.